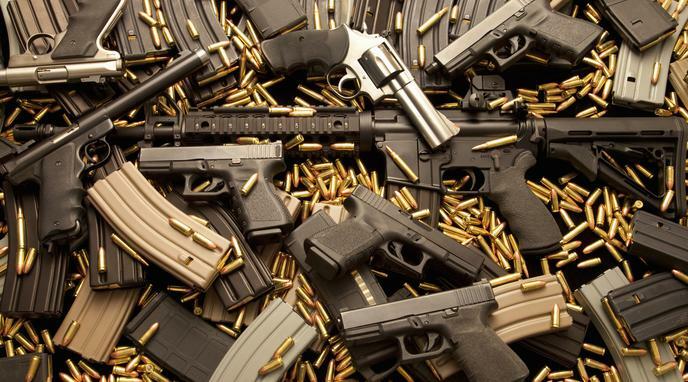 Should the US adopt stricter gun controls? The US should adopt stricter gun control legislation, in the form of the policy defined in the discussion info (click top left menu => Info). Stricter regulation would make people consider their decision to own a gun more seriously. Having fewer guns in circulation means society is generally safer. support stricter gun control legislation. gun culture in the long term. There is no inherent natural right to gun ownership. The responsibility should be on the central government to foster responsible gun owners. U.S. gun laws do not only affect Americans. The US has one of the highest rates of mass shootings in the Western world, and most commonly cited non-gun-related causes (mental health or violent video game usage) are consistent across First-World Countries. Gun control measures are an effective way to limit the impact of mass shootings. The standards by which a person is considered worthy of owning a firearm are too low to result in a net benefit to society. People would feel safer if they knew there were fewer guns around. This policy would do significant harm to weapons manufacturers and sellers. Gun control legislation is very difficult to implement effectively. People like playing with guns (eg FPSRussia or similar) and they should not have to be limited to the particular uses of the gun as per the proposed restrictions. Free access to guns is a cultural characteristic of the US and thus should be preserved. These policies infringe on various rights that the government has an obligation to uphold. Access to firearms is not the true cause of violence. Gun control does not prevent innocent death by guns. There are beneficial reasons to own guns. By adding stricter gun control you will drive it underground where society loses track of the problem all together. Cliven Bundy, have proven that the government is too corrupt to implement gun control properly. We need to be able to protect ourselves without government assistance. Do gun control laws reduce crime? Should A Character Witness Be Required To Purchase Guns or Ammo? Should Suicide by Firearm Be Included in Statistics About Gun Violence?